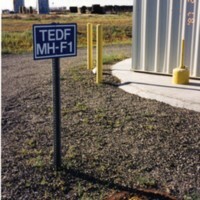 A blue sign with white text ""TEDF MH-F1""." 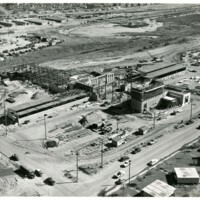 Large building undergoing construction, lots of cars nearby as well as houses in the background. Text on back of image reads: ""Hanford Works; Photo No. 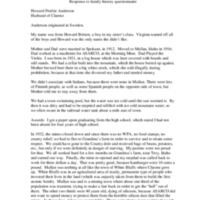 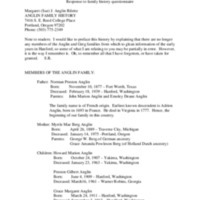 9; Area Carmicheal; Date 9-22-48""." 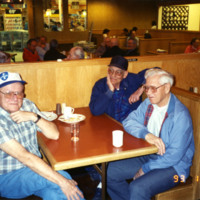 View of three older, retired men at a wood-paneled restaurant eating together. 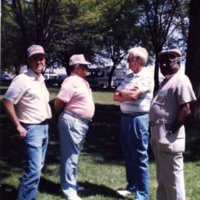 Photo dated, "93-1-30." 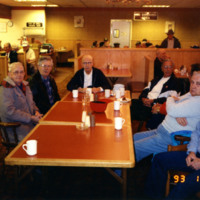 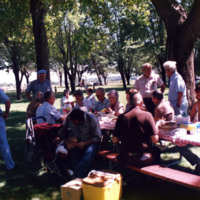 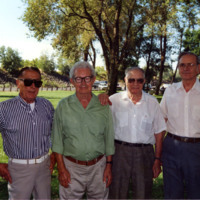 View of six older, retired men at a wood-paneled restaurant eating together. 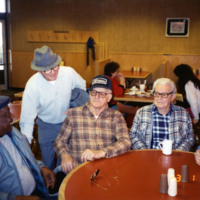 Photo dated, "93-1-30." 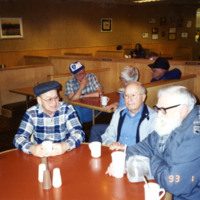 View of four older, retired men at a wood-paneled restaurant eating together. 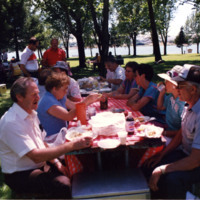 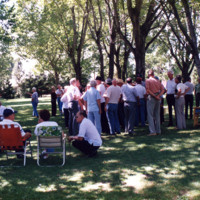 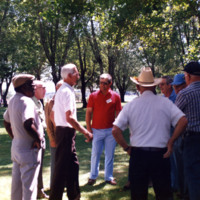 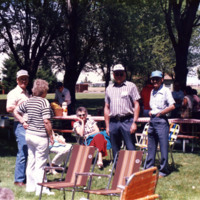 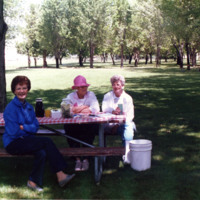 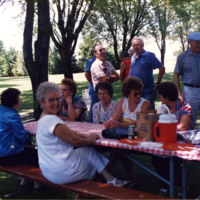 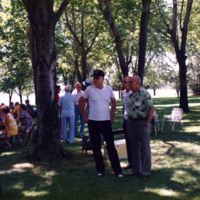 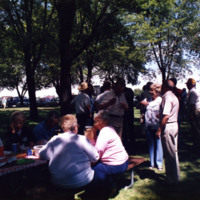 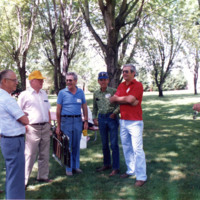 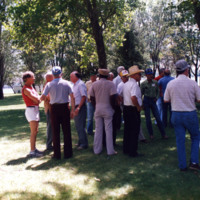 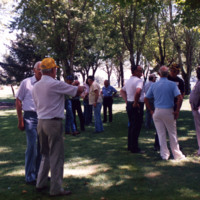 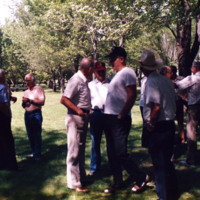 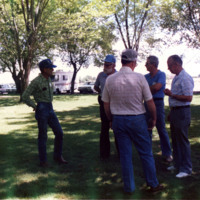 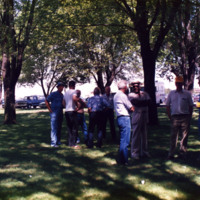 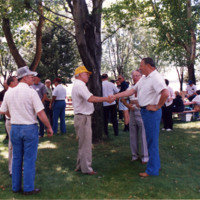 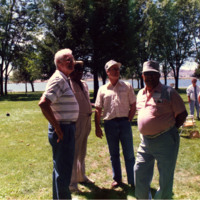 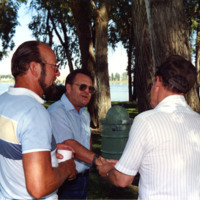 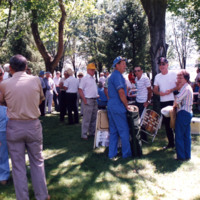 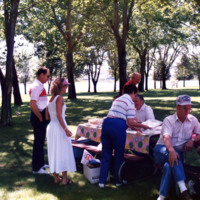 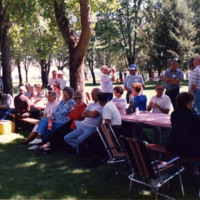 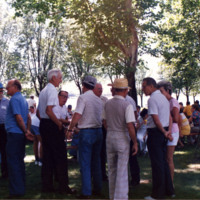 Man in left foreground is wearing a black cowboy hat. 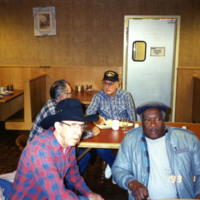 Photo dated, "93-1-30."